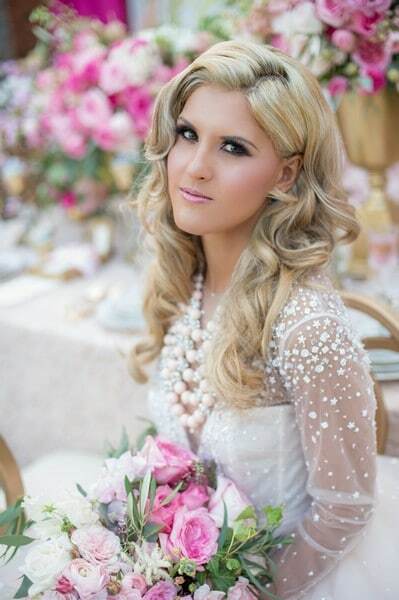 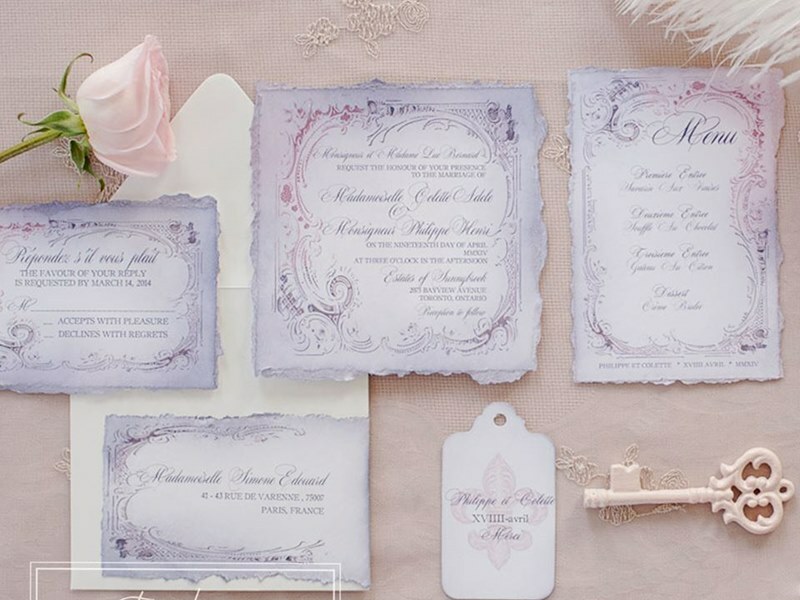 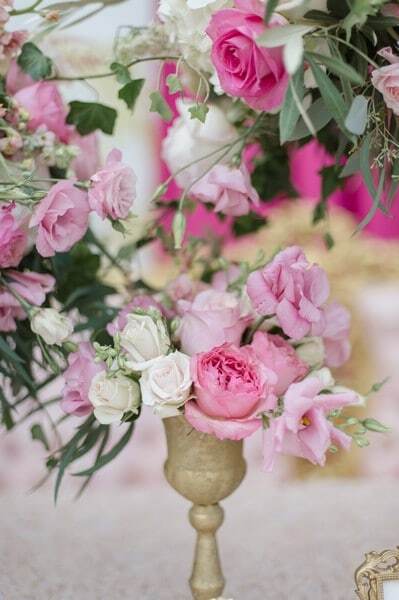 With Valentine’s Day just around the corner, we are so thrilled to be sharing this stunning shoot with you today. 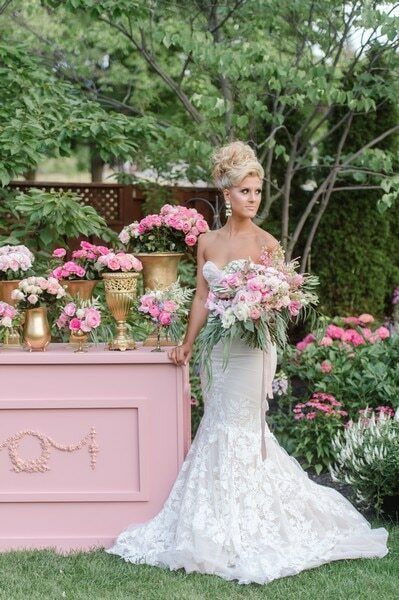 Filled with bright, happy colours — including pretty pops of pink — and tons of beautiful blooms, this shoot is a treat for the eyes! 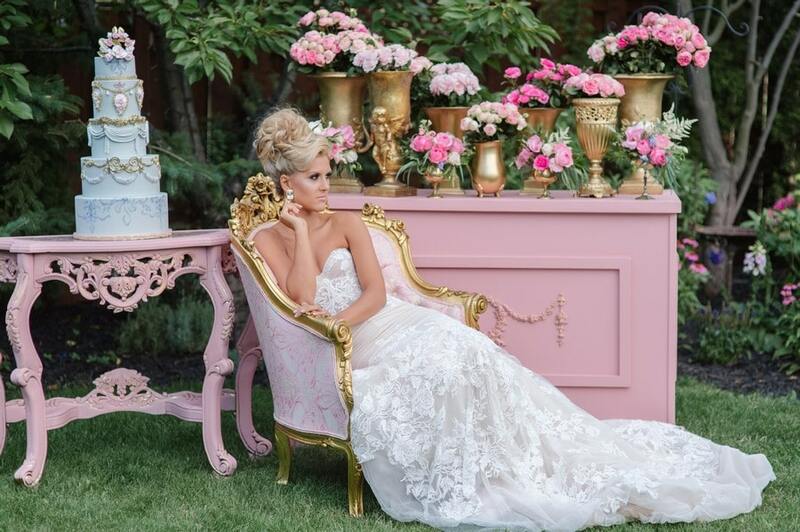 Co-created and co-directed by the creative minds at both Lux Events Co. and Anne & Co, and gorgeously captured by Krista Fox Photography, prepare to fall in love…with this pink flower inspired shoot! 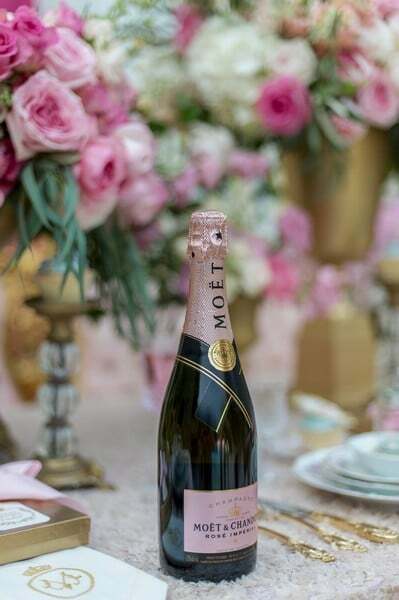 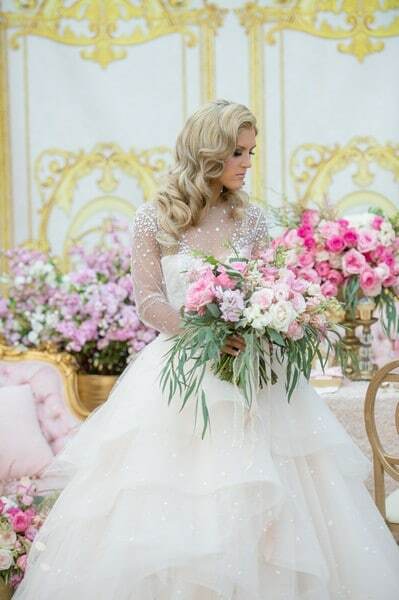 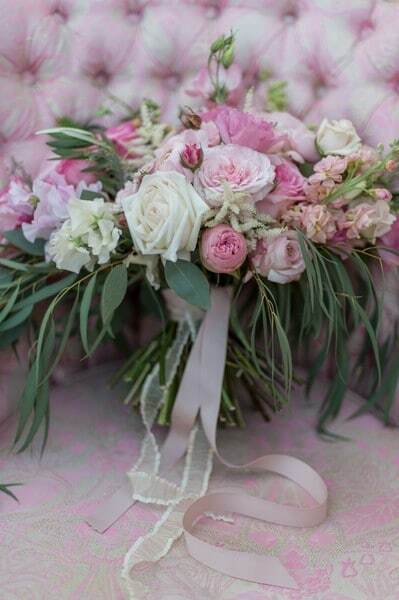 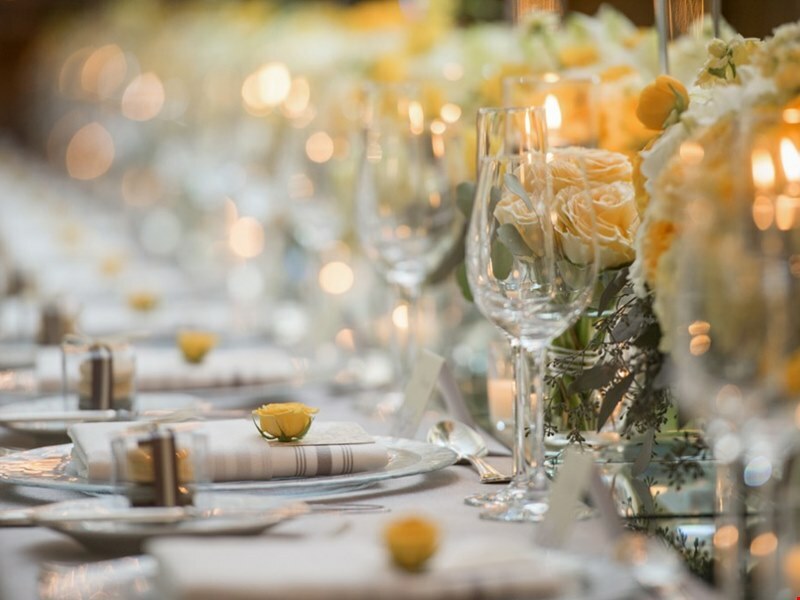 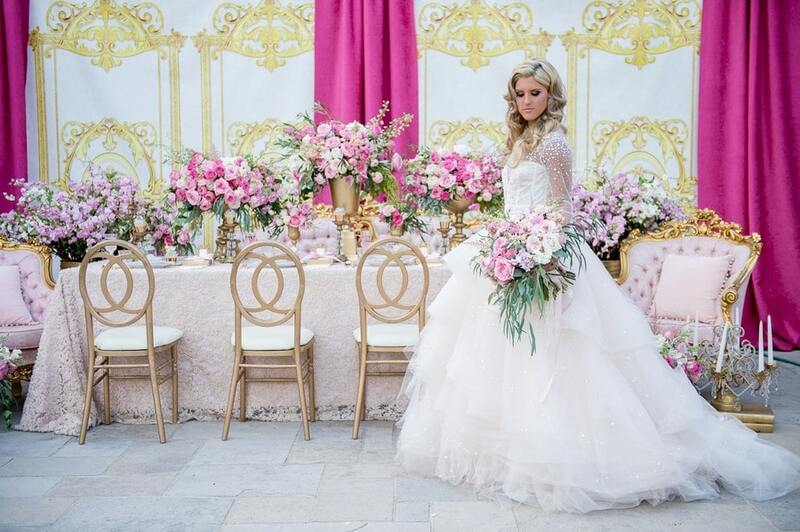 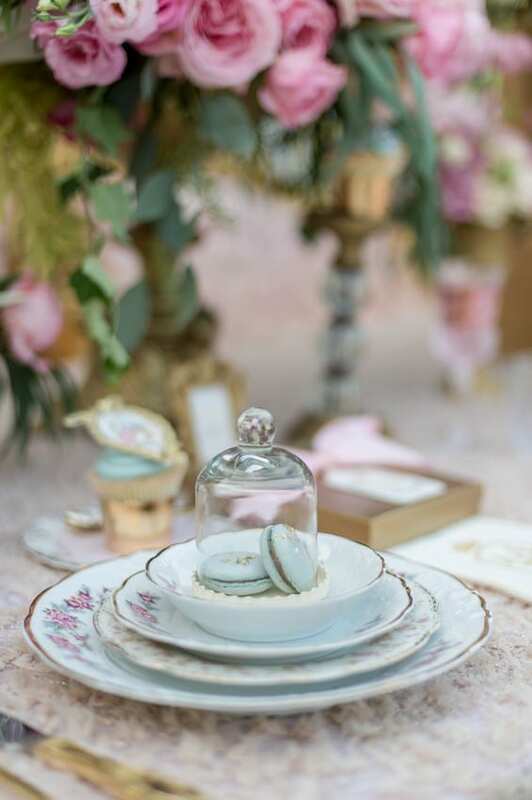 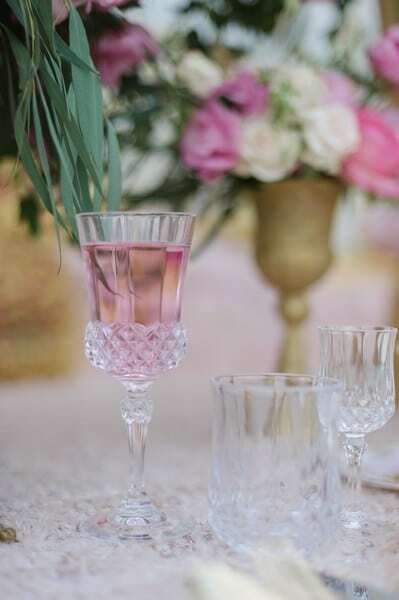 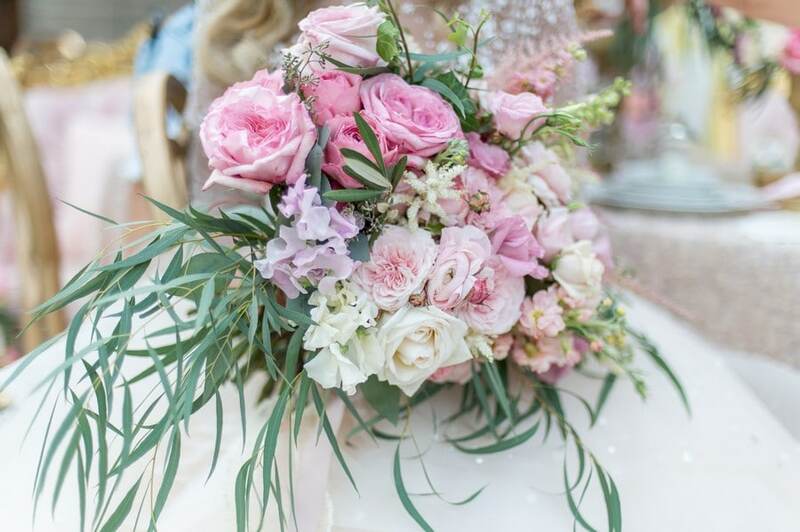 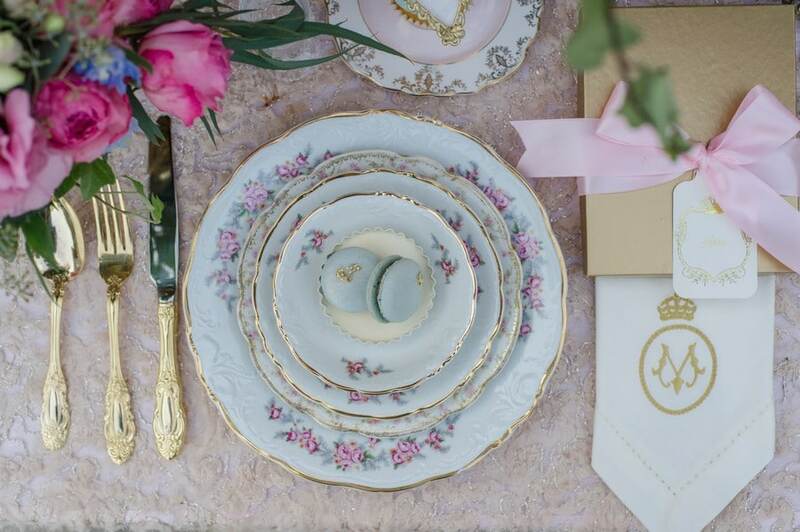 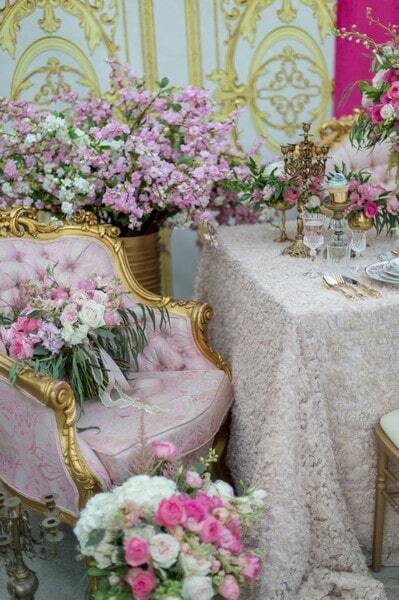 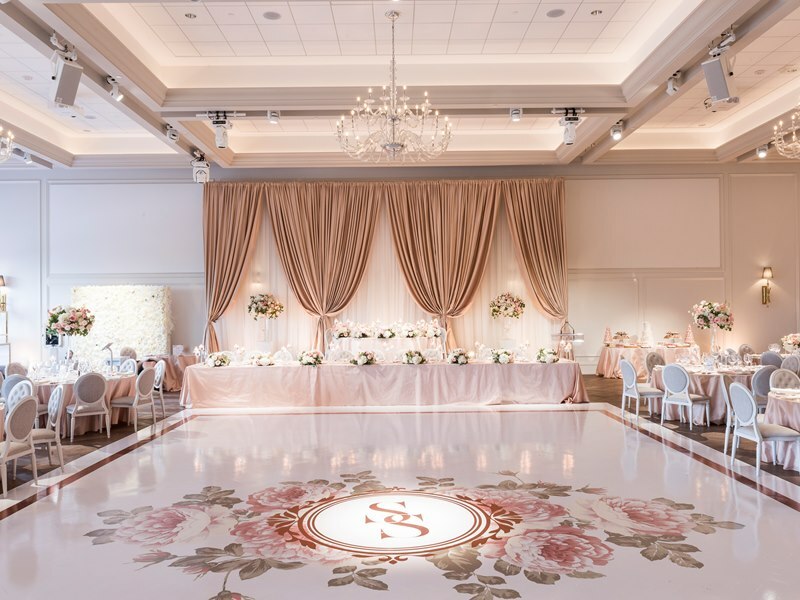 Caprice Design & Decor supplied the gorgeous flowers, while The Pink Door Boutique supplied the elegant dishware, stylish vintage-like furniture, and chic accessories. 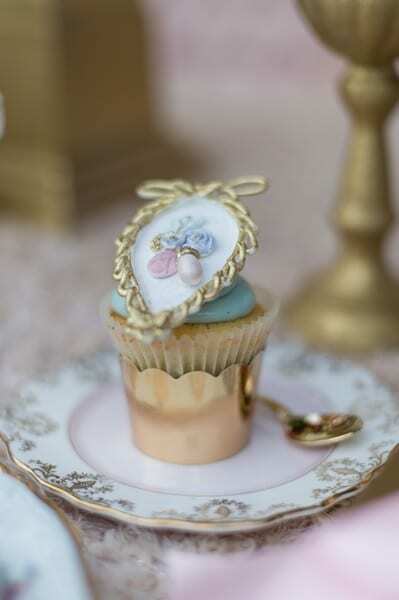 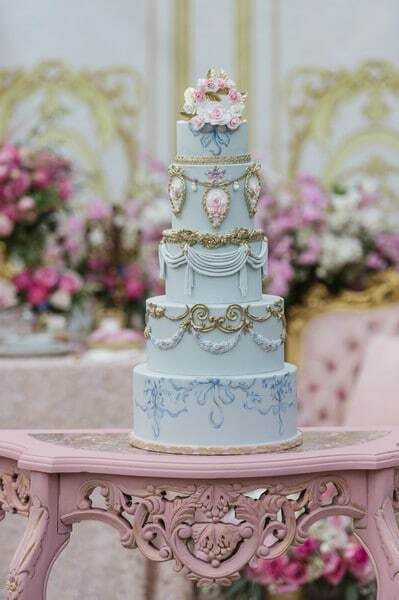 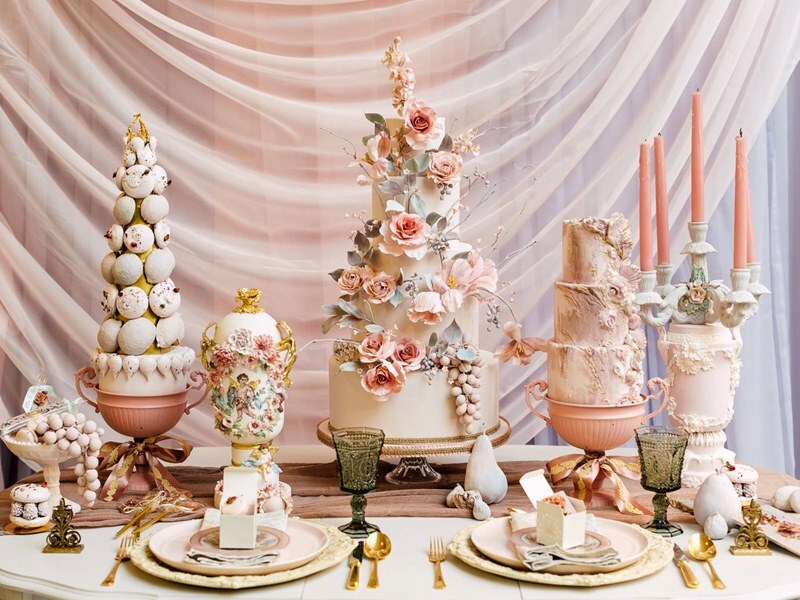 The opulent, multi-tiered cake from Nadia and Co is absolutely spectacular – everything about this cake, from the delicate pink flowers, to the intricate gold braids, to the the tiny pearl detail, is awe-inspiring.